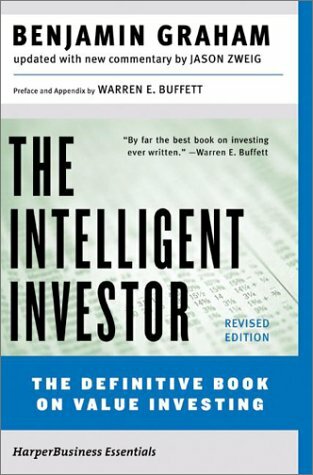 A few days back I read a book with a title similar to this – Think Like Graham, Invest Like Buffett. While I had great expectations from it, honestly, beyond the title, there was not much in terms of depth in it. Of course, the title is a great message in itself, so I thought there would be examples of that and other stuff like that in the book. But there was not much of it in there. Lawrence Cunningham’s other book which is essentially a great collection of excerpts from Buffett’s letters to his shareholders is so much better. So while the thought of having this book and the title were great, the overall execution did not seem to make it as great a reading as I had expected. But there was one small section in it which was absolutely like a flash of brilliance in an otherwise ordinary and repetitive book. It is a metaphorical story about a person who wants to sell his apple tree, and how he goes about evaluating various offers that people make for the apple tree. The story takes us through various stages of valuing the apple tree, starting with offers so low that they basically account for the cost of the wood one would get if the tree were cut down – something akin to scrap value. And then goes on to give examples of how one could arrive at various subjective ‘intrinsic values’ for the tree, methods based on the cost that went into planting the tree, or the value of fruits one gets from it today, or the value one could arrive if one could grow fruit yield in the future, as well as how it is important to take into account the cost of maintaining the tree farm and replanting the seeds from the fruits. Essentially taking us from the Graham thinking of ‘paying to avoid losses’ to the Buffett approach of ‘paying for high returns from predictable earnings’ in the form of a wonderful set of conversations between the tree owner and various bidders. 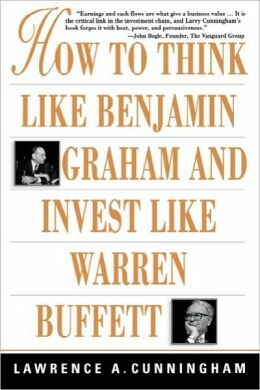 So that was quite a nice section in the book to get the point across – Think like Graham, Invest like Buffett. 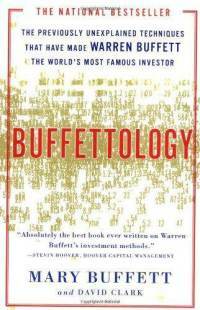 Later, a few days back, I chanced upon another book named ‘Buffettology’ – written by his daughter-in-law. Honestly I did not have great expectations from that book, specially from the investing techniques point of view. I thought it would be more a general essay on Buffett as a person, and his style from a personal view. But surprisingly, it turned out to be a good set of writings on investing techniques. While there are a lot of writings in layman terms – but the message and detail on the source of Buffett’s success are quite surprisingly crisp. The examples on what forms a great business, how to identify great businesses, and how to value them in a manner where you don’t pay too much make quite decent reading. And the details on how Buffett started with Graham’s methods, and then graduated to a combination of Fisher’s and Munger’s techniques with Graham’s soul behind them are quite a treat to read. There are also a set of writings around how he gathered exceptional wealth primarily due to combining his acute investing acumen with an access to long-term insurance float over long periods of time. It may not be news for a serious investor, but nevertheless not bad for the layman. So two books mostly around the same topics, both trying to distil some learning from past masters, two books with different levels of good reading. But both of them with essentially a similar message – Think like Graham, Invest like Buffett. 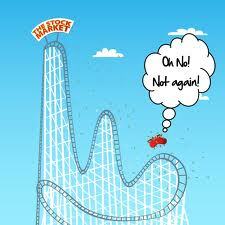 I have often found that for an individual investor, the toughest thing to deal with in stock markets is volatility. And by volatility – though it means fluctuations on both sides, what is tough to deal with is basically crashing stock prices. 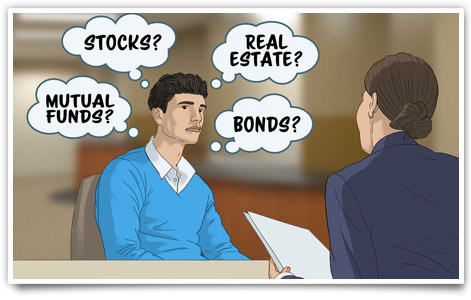 Financial theories have often equated risk to volatility – which may have some sense when you have a need to regularly evaluate the value of your portfolio, but is perhaps otherwise meaningless for an individual investor. The all encompassing mindset of an individual investor has to be that of preparation for crashes. While investing in the stock markets, be it through mutual funds or directly, the dominant mindset needs to be that of being prepared for at least a 30% cut at any point in time. That mindset prepares you better to deal with it when it comes. The advantage of such a mindset is to ensure some degree of rational thinking when the crash happens, even though there may be butterflies in the stomach. Inevitably that happens. In such a scenario, I have found the Ben Graham corollary of thinking of the stock market as an emotional guy called Mr Market whose moods keep fluctuating to be most valuable. This moody guy comes up everyday and offers you a price for your businesses. You are free to buy from him, or sell to him at that price whenever you want; and best of all, you are free to ignore him if you choose to. He will still come back tomorrow. Getting these two things into your mindset – that of expecting crashes, and thinking of stock markets as an emotional guy Mr Market – are the basic starting points in your battle against volatility. Let’s say you manage to do that – the toughest task of all. After that, deciding what to do when stocks crash becomes easier. And that depends on largely whether you have a plan on why you are in the markets in the first place. If you have, then you are likely to do whatever makes sense according to that plan. If you do not, then this crash could be a good opportunity to do so. In both cases, you are likely to be in a better position to then decide whether to buy from Mr Market, sell to him or simply ignore him.